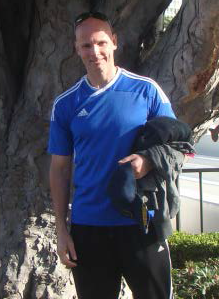 Ben has been in the fitness industry for over 30 years, guiding people from all backgrounds into their best shape. His formal education gave him the theoretical knowledge and understanding … He has a B.S. in Nutrition from the University of Connecticut; he gained a comprehensive understanding of cardiac physiology and its pathologies from Hoffman Heart Institute, in Hartford, Connecticut. But it was the many years in the trenches, working with individuals with a variety of goals, limitations, and age ranges that gave him the expertise. Whether in his early teens devising exercise routines for himself and his peers; or as a young adult in Los Angeles, California, immersed in the fitness culture and being mentored by some of the fitness giants of the mid 20th century (Terry Robinson, John Grimeck, Jack Lalanne, Bill Pearl); or in San Diego some years later, learning the craft at an entirely new level with Paul Chek – He ultimately combined these awesome learning tools into his own formula for safe and effective outcomes with his clients.